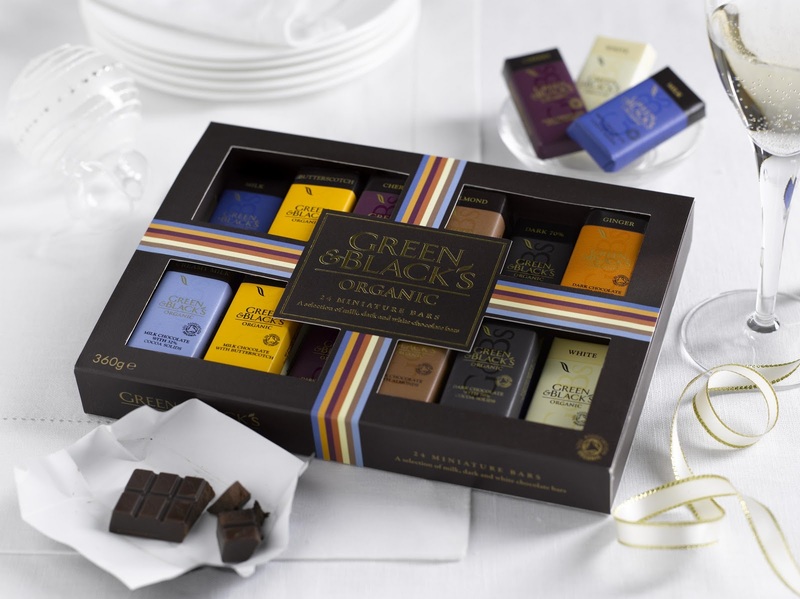 Green & Black’s 24 Miniature Bar Collection is made up of eight of the best selling flavours - Dark, Milk, Creamy Milk, Butterscotch, Almond, Cherry, Ginger and White, making it an ideal gift for anyone with a taste for indulgent, intense flavoured chocolate. There is a flavour for everyone. The 24 Miniature Bar Collection is not just a great gift for those difficult-to-buy-for friends and family. It’s also the ultimate after-dinner treat to share with friends and family after a meal – with each bite your guests will experience a little bit of Green & Black’s magic, adding to the joy of the festive season! "Being 24 of them, my plan with these was to save them as my own grown-up version of the advent calendar. Unfortunately my chocolate addiction kicked in and by the 2nd of December they were all gone - well not gone completely - there are signs of them showing on my hips! These are just divine - I've never tasted chocolate like this before and surprisingly my favourite flavour was the Ginger Dark Chocolate - not something I would have ever bought for myself. I'd love to receive one of these for Christmas (nudge, nudge, wink, wink) so I'll be putting another box on my Christmas list." 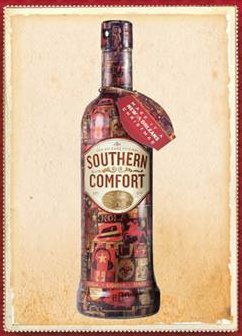 Why not deliver a truly original Christmas gift this year - the new Limited Edition Southern Comfort bottle and bring the unique spirit of New Orleans to life. The limited edition bottle is wrapped in an award winning illustration designed by illustrator Christian Northeast. The piece was inspired by the spirit of celebration, vibrancy and creativity of the city that is home to Southern Comfort - New Orleans. "Leanne can't drink because of her medication so I got to sample the delights of our 'old school' favourite instead. We used to go out every weekend and drink Steamboats back in the day - that's Southern Comfort, lime and lemonade for those of you that have never lived. I'm sure she's gutted that she couldn't join in with the frivolities. I had great fun 'sampling' this one but I must say that the bottle designed by Christian Northeast is stunning - it even comes with it's own gift tag. I've enjoyed it - but then I love to drink! I'm sure it would make a lovely gift for any grown up that enjoys a tipple or two then when it's empty you can use it as a candle holder." 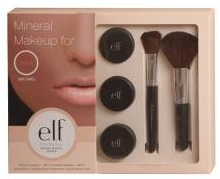 "I was really pleased when heard this was what I was going to be reviewing because I've heard a bit about mineral make up (well I seen some demos on shopping channels when I've been trying to avoid Jeremy Kyle) and it looked really good. I'm one of these people that can't really be seen out of the house with a bit of foundation so make up is a must for me. It was really strange not wearing 'proper' liquid foundation but I was relly pleased with the natural look that it left me with. You apply the concealer powder first to hide any 'nasties', then you dust the foundation on before finishing up with the blush. A great product and a great price too when you consider how much it would cost to buy foundation, concealer and blusher separately." Each e.l.f makeup brush has been ergonomically designed to fit perfectly in your hand and facilitates a flawless finish with every application. "I'll be honest with you - I have never used brushes to apply make up before (well, except for my bronzer brush). I've always just thought they were an expensive gimmick. Well I'm holding my hands up now because my make up looks so much better since I've started using these brushes - and it lasts longer too - especially my eye make up. 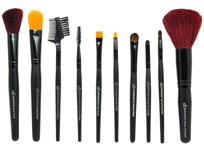 I love every single magical brush - even the eyebrow one! Buy these for your friends, your sisters, your mums - they'll love you forever. Ooh but make sure you get one for yourself too - you don't want them looking better than you!" 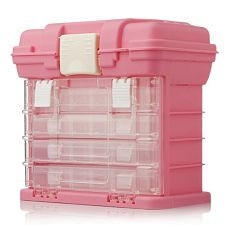 Make sure all your crafting goodies are neat, tidy and easy to find with this cute pink portable storage caddy. The caddy incorporates six clear plastic lidded storage boxes, all fitted into a neat pink caddy for ease of carrying and compact space saving. Each of the storage boxes measures about 23cm x 13cm x 3.5cm (9" x 5" x 1.4") and has 18 separate compartments for storing embellishments, brads and more. The caddy has a hinged lid on top with a white carry handle and clip locks. "I've only been crafting for a short time and had been storing all my bits and bobs in a shoe box! To be fair it has been a bit of a nightmare but this has saved me from it. I haven't seen anything like this before and couldn't wait to get everything in it's own little compartment. I make cards but this would also be ideal for avid sewers too. I fab idea - I love mine."